ithout fireworks, without cheering crowds, but with pure unadulterated dedication, a small group of Scientologists who were determined not to let anyone stop mans chance for freedom, formed the International Association of Scientologists. All new movements have at one time been faced with persecution and misunderstanding. And all great movements have succeeded because of the personal conviction and dedication of their members. Regrettably, history has seen many attempts to suppress religious freedom and human rights. From the persecution of early Christians in Rome, to the slaughter of Jews in Nazi concentration camps and the recent discrimination against Jehovahs Witnesses in Greece, many faiths have suffered dearly. 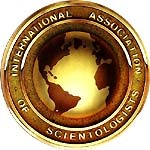 Because of just such a lamentable history the International Association of Scientologists was formed to guarantee that the Scientology religion can be practiced for all time  through a strong group composed of those who believe in and are willing to fight for the rights of man and the freedom of all religions.